TECHNOLOGIES GmbH and brought to market maturity with the help of selected manufacturing sites. conservation of resources into account. Nor®Cell films are especially suitable for applications in the food, pet food and hygiene sectors. The foaming process takes place according to a process patented by the Mucell company. NORDENIA is the exclusive partner throughout Europe in the area of flexible packaging and film products. NORDENIA INTERNATIONAL AG is a multinational manufacturer of consumer packaging, and hygiene components. 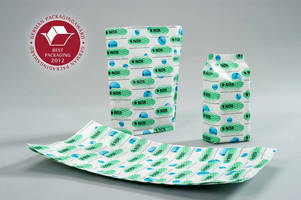 Core competencies include manufacturing, printing, coating and processing of high-quality films. As a leader in innovation and technology, NORDENIA's products are used in a wide variety of areas, mainly fast moving consumer goods (FMCG). NORDENIA employs around 3,000 people worldwide. The shared values serve as the foundation for their activities. With its seven shared values of Flexibility, Global, Independence, Innovation, Partnership, Passion for Excellence and Quality, NORDENIA has a partnership-oriented company culture.